If you were arrested for DUI but never charged, or if you were charged with DWI but never convicted, California offers a procedure to have your arrest record sealed and destroyed; the police reports, fingerprints, booking photos, and all records of your arrest are eliminated. If DUI charges were never filed after an arrest, the charge was dismissed, or you were acquitted, speak with an experienced Orange County DUI attorney about having the record of your DUI arrest sealed and destroyed. California criminal records are kept indefinitely unless a specific order is issued to destroy them. And like every other procedure in California law, the process to seal and destroy arrest records can be tricky. The key issue is whether you were convicted of DWI. If you were, even if that conviction was dismissed later, you are not eligible to have your DWI arrest sealed and destroyed. You should also understand that a motion to seal and destroy your arrest records must be filed and granted for each arrest that you wish to seal and destroy. The process takes about three months. In some California counties, you must personally appear in court, but in other counties, your attorney can appear on your behalf. If you were arrested for DWI but no charge was filed, initially you must file the petition with the police agency that arrested you. If that agency believes you were innocent, they will seal the record for three years and then destroy it. If they deny your petition, or if they do not respond within 60 days, your attorney can petition the court. However, if the DWI charge was formally filed and later dismissed, or if you were acquitted in a trial, you can petition the court directly. 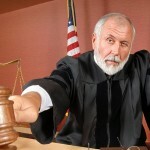 The court must determine that there is no reasonable cause to believe that you committed the DUI. This puts the burden of proving innocence on you, the defendant. 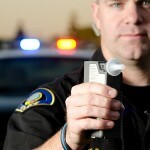 In southern California, you’ll want an experienced DWI attorney to draft and argue the motion on your behalf. If a judge grants your petition, the court will order your arrest record sealed and destroyed, and all law enforcement agencies will be ordered to destroy all records of your DWI arrest. 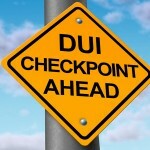 If you need a DUI arrest record sealed and destroyed in southern California, consult an Orange County DUI attorney at once.